If you are just now hearing about BattleKasters, you may be wondering what it all means. How does it tie into a YA book series? How do you play the game? What is the literacy tie in? Well keep reading and all will be explained! BattleKasters is a mobile game based on the book series Legends of Orkney by Alane Adams. This new series is perfect for Harry Potter fans and Percy Jackson fans. The Red Sun is the first book in the six-book saga and will be available everywhere August 4th. The story follows the unusual life of Sam Baron, a 13-year-old boy who just discovered he is a direct descendent of Odin and the son of a witch. In this Norse mythology-inspired series, Sam must go to another realm, Orkney, to battle witches who have kidnapped his friends. Suddenly surrounded by mythical creatures and magic, Sam must fight to understand his witch and his Norse god background while trying to save his friends, close the portal to protect Earth from dark magic, and guard the mysterious land of Orkney from an evil brood of witches. 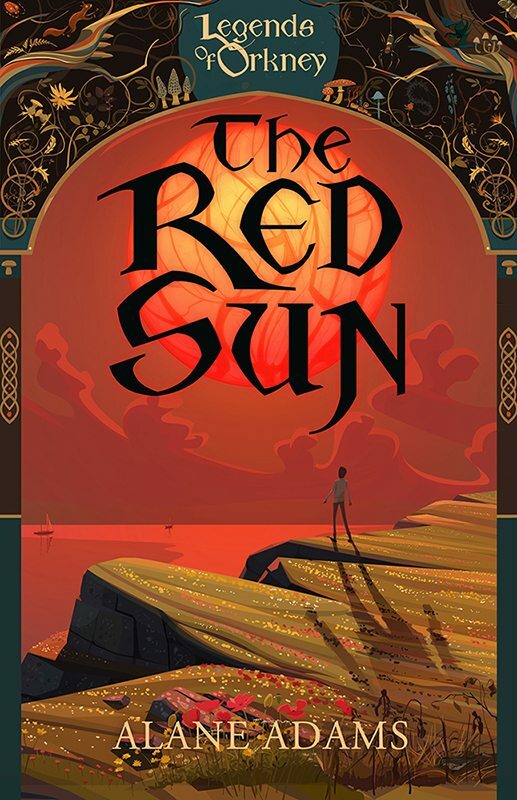 Anyone interested in the book series can catch author Alane Adams at Comic-Con International: San Diego this summer and get a chance to purchase The Red Sun before it is officially released. Right now, BattleKasters is an app-based game that is being played exclusively at fan cons and gaming conventions. The game uses location-based technology to create a live game board that allows players to collect cards, cast spells and compete with other gamers for a chance to close the stonefire as quickly as possible. The game was created by Artifact Technologies, a mobile development company who built an innovative gaming experience on top of their location-based Mixby platform. If you want to catch BattleKasters, the game and the team behind this transmedia platform we will be playing in the Gaslamp Quarter during Comic-Con International, and also at Gen Con, Pax Prime and New York Comic Con. One of the lesser-known facts about BattleKasters is that it is a part of a literacy movement driven by Alane Adams. Alane was inspired to create her book series when she wanted to get her youngest son interested in reading more. As a literacy advocate and founder of the Rise Up Foundation, Adams saw a bigger opportunity for getting kids more involved in reading. Thus the idea for BattleKasters was born. The game puts people right into the world of Orkney and gets players interacting with characters before they’ve even picked up the book. When they are finished playing, all they want to do is pick up The Red Sun and learn more about the witches, gods and creatures they just encountered. On the flip side, readers will find a whole new layer to the story when they get the chance to bring all the vivid characters to life during gameplay. For those looking to support the cause even further, the net profits from The Red Sun sales go to literacy causes. The book series is a middle grade novel that kids as young as 10 can fall in love with, but the story and the gaming experience are being enjoyed by fantasy lovers of all ages. Parents and their children are enjoying reading the book together and gaming enthusiasts are finding a new way to enjoy mobile technology at fan cons. We’ve been surprised and thrilled by the wide range of fans getting into BattleKasters and we have found that everyone from pre-teens to parents are playing along and having a blast at fan cons. BattleKasters creators, Artifact Technologies, have forged a new frontier in mobile gaming. The ability to not only use the world around you as a part of a game, but to also be able to engage with a new story is a unique experience for many avid gamers. This technology is also perfect for the Legends of Orkney story line and gives gamers the chance to feel like they are actually experiencing Sam’s world. With witches, magical creatures and the ability to cast spells, you’ll actually feel like a member of the Orkney cast. Don’t miss the opportunity to experience BattleKasters. Follow us on social media, sign up for our newsletter and stop by at Comic-Con International. You don’t even have to attend the convention to play the game in California. We’ll be turning the Gaslamp Quarter into our next game board and it’s open to anyone ready to play! Check out The Red Sun, book one in the Legends of Orkney series and the inspiration behind the BattleKasters game. Sign up to discover where we’re playing BattleKasters next!